The Internet can be overwhelming when you’re preparing to take the MCAT. Here’s how to navigate. Free online resources can be a godsend when studying for the MCAT. When you’re first starting out they can help you get an idea of what to study and how to study. These resources also have the added benefit of being entirely portable, so you’re not weighed down with extra stacks of books and papers. As with everything on the Internet, it’s hard to pick through which resources are legit and which are not. To help you with this, I’ve listed the resources that helped me when I was studying! AAMC Content Outlines– These outlines were golden for me when I was studying for the MCAT because they tell you exactly what you need to know straight from the source. Regardless as to which test-prep materials you choose to use, these outlines can really help you to focus your studying. To use them effectively, I would make a list of the topics on the outline and put a check by them as I learned them. I worked through each item on my list until each topic was checked. Khan Academy– Khan Academy is great for visually teaching and reinforcing concepts. 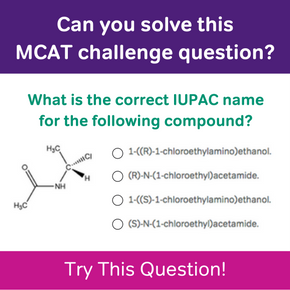 The company has partnered with the AAMC to provide video tutorials and practice questions for each section of the MCAT. The short videos are very conversational and easy to understand. They work well in tandem with Magoosh’s 300 MCAT lessons, because you can review the same concept from different perspectives and clear up areas of confusion. Student Doctor Network– SDN is a lot like the bargain bin in a discount store—it has really great stuff, but you may have to do some digging. You can find an answer for virtually any question you may have regarding medical school. There are also forums for applicants to discuss nearly every individual medical school (and its application process) in the U.S. and beyond. There is also a wealth of information regarding study techniques, interview prep, and insights from current medical students, residents, and attending physicians. Keep in mind when perusing the forums that these are still mostly anonymous internet forums. So take the information you find with a grain of salt and always do your own follow-up research. 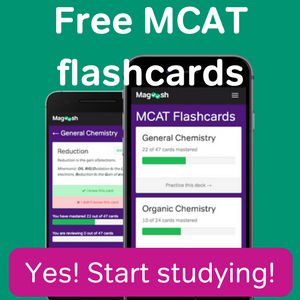 Magoosh– Take your MCAT studying to the next level right now! 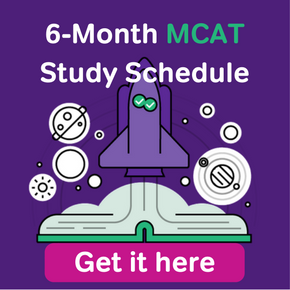 The MCAT course by Magoosh includes over 300 video lessons, over 700 practice questions, and unlimited phone and email access to MCAT tutors. The lessons are taught by a diverse team of experts, including two physicians, a physics teacher, a professor of medical sociology, and a CARS expert.